What’s a powerhouse retail network to do when it can’t find a software system to meet incredibly diverse needs? Build its own. That’s what Wilbur-Ellis Co. did when it debuted AgVerdict in 2014. The company is spread across nearly two-thirds of the U.S. and includes 160 retail branches. “Finding a single software solution that could encompass all our needs proved impossible,” says Dave Uberuaga, AgVerdict Product Manager. In fact, he says his team even tried to combine two different packages, but it didn’t work. Indeed, it’s very difficult to create a one-size-fits-all approach when field practices vary from a quarter acre of vegetables to a thousand acres of dryland wheat. But the efforts of creative developers and field staff working together made a tool in AgVerdict that bridges the cropping systems, regional regulatory requirements and the latest technology. In the beginning, AgVerdict’s development team numbered more than 100 people. Today, the software is supported by 40 to 45 employees and 21 field staff. They include a “Cloud Care Team” that constantly monitors for security and privacy issues. Among the software’s features: Collecting and using field level data from ground-based sensors, yield monitors, and imagery, AgVerdict writes site-specific nutrient prescriptions and crop protection recommendations — all that fulfill compliance needs. Available are tools to improve communication between the agronomist and the grower. And the software supports a host of precision ag practices. A key demand for today’s software is mobility. AgVerdict is optimized for mobile so growers and agronomists can easily access it from IOS devices. It’s hosted on Amazon Web Services — a platform that Uberuaga says is a very robust and reliable. Data will be key in future product advances. 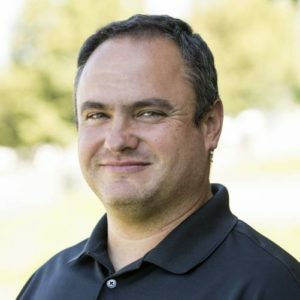 “There’s a push in the industry to make ‘easy buttons.’ Our goal is to help agronomists do the hard tasks by creating a tool that automates features using data and new technology,” says Uberuaga.